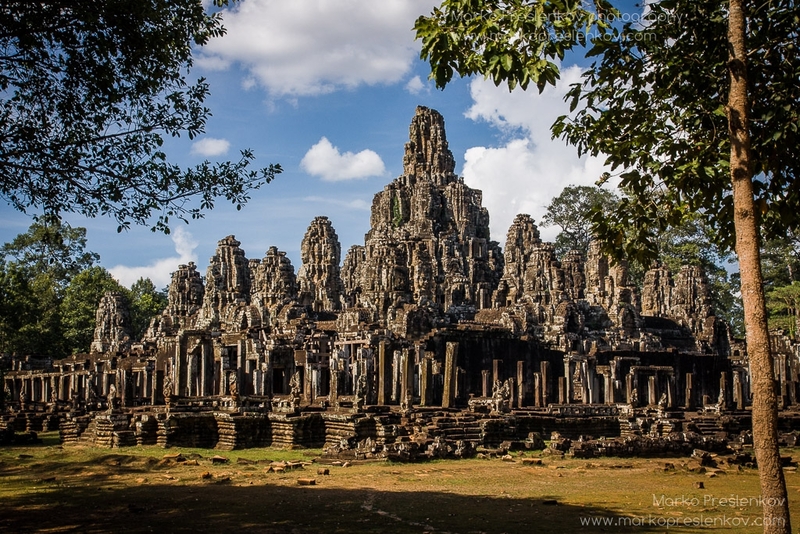 Bayon, a crown jewel at the hearth of Angkor Thom or the “Great city”, was built as a state temple by Angkor greatest Khmer king, Jayavarman VII, who took over after the disaster of losing the old Khmer capital to the Chams. 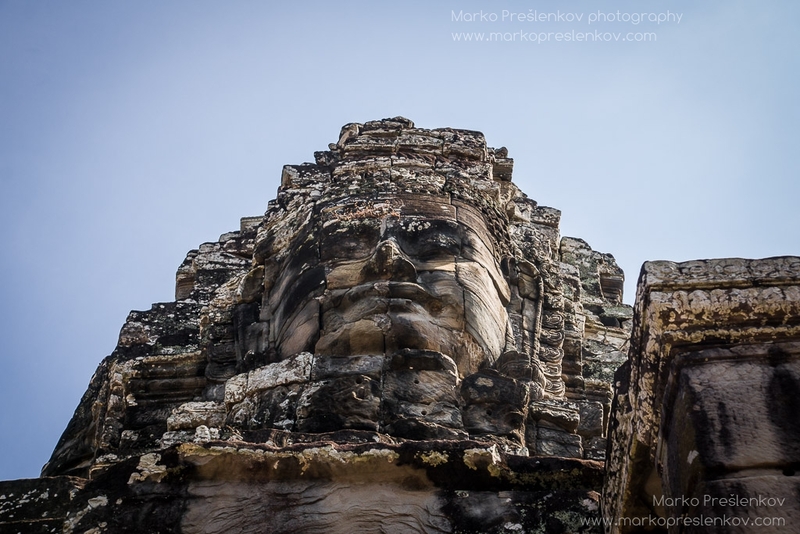 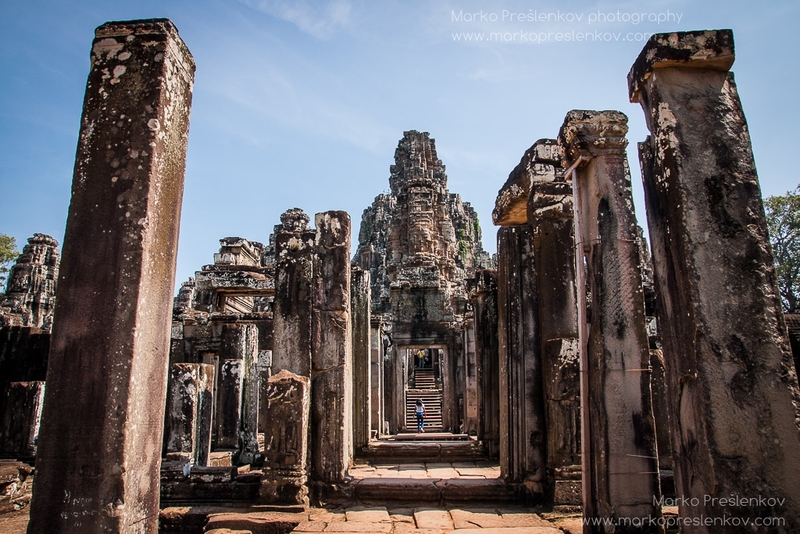 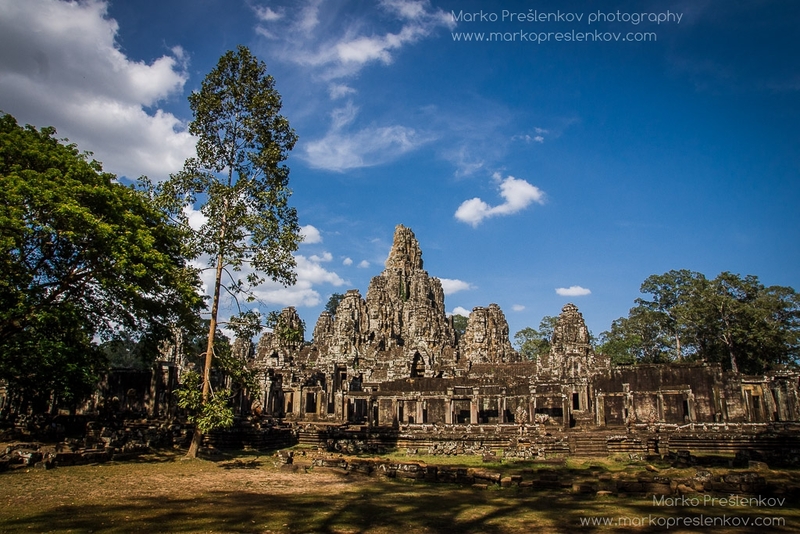 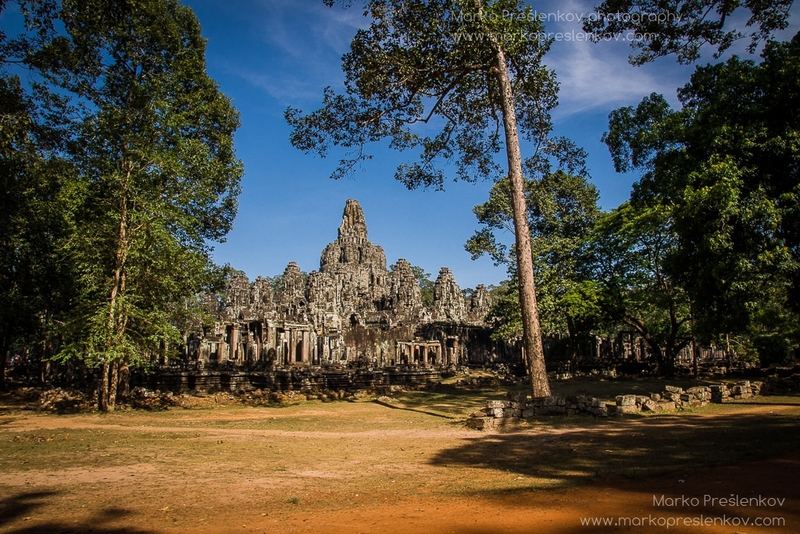 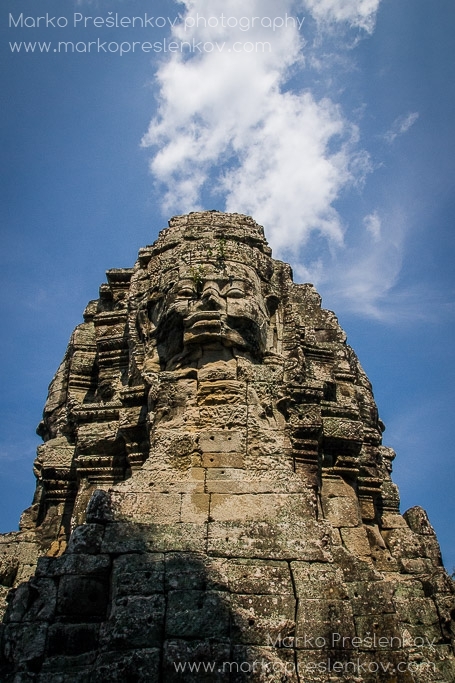 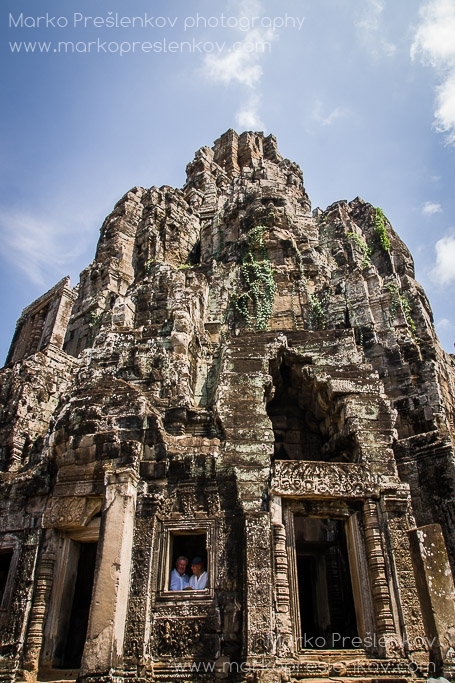 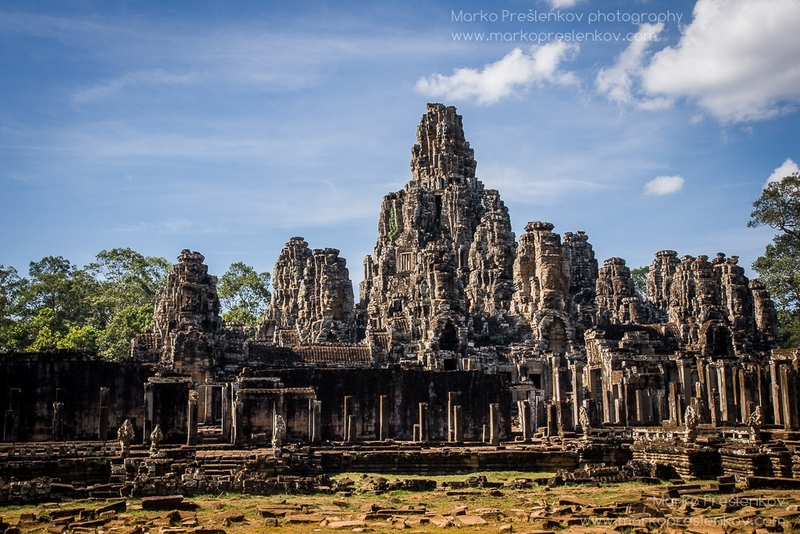 Bayon, which is standing at the exact centre of the Angkor Thom city, is maybe best known for its collection of 54 Gothic-style towers decorated with no less than 216 smiling, enormous faces of Avalokiteshvara – a Buddhist bodhisattva depicting the king Jayavarman VII himself. 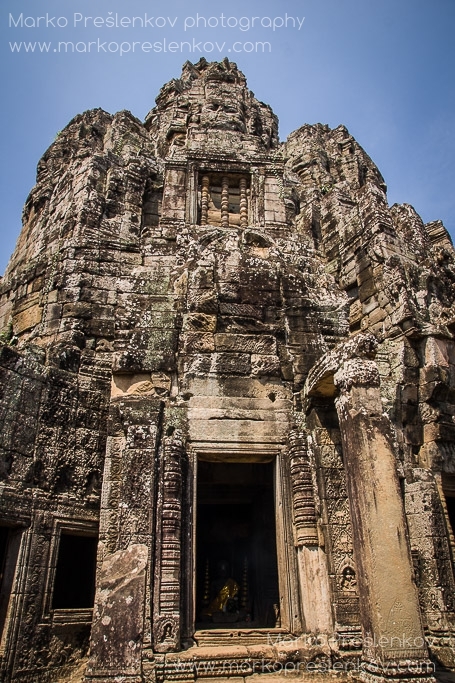 The temple is also known for two impressive sets of bas-reliefs, which present an unusual combination of mythological scenes depicted on the inner gallery and historical and everyday life on the outer one. 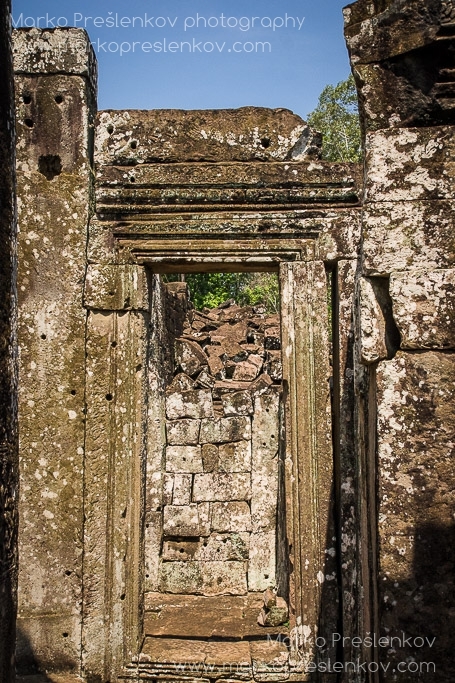 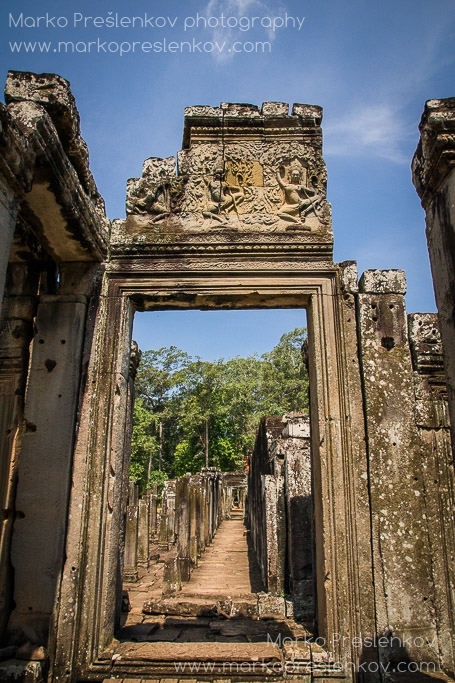 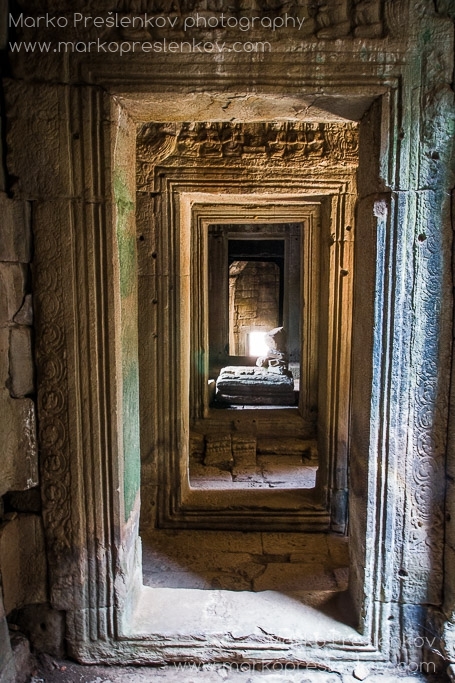 The outer gallery is also enclosing a courtyard that used to contain 16 chapels that were demolished – along with a statue of Buddha seated in meditation in the central tower – by the Hindu restorationist monarch Jayavarman VIII.